I have been nutritionally, spiritually and physically connected since the age of 18. I love fitness and I am athletically inclined for most of my teen and adult life. I recently have resumed my connection with modeling and acting with an emphasis on sports and fitness modeling. First in 1980 to 1983 and then now. I love challenges! While going to college I started working for Nautilus Systems in 1978 and grew into a general management position. I worked closely with the owners and vice-president to develop concepts related to strength training techniques and helped implement a team concept approach. I opened and put together staffs at new centers working closely with sales, instructors, administration, aerobics, personnel. I have a three-fold approach; physical, spiritual and nutrition. Side note: I don’t think I would have excelled into the pro surfing venue without this three-fold approach. Feeling and looking better is such a natural high along with helping others understand the discipline behind training even today. I get a lot of feedback from men about how developed I am especially as I become more mature in age. My involvement with Nautilus Systems from implementation, development of concepts and managing people. I love the fitness field. I am a true entrepreneur and have been successful with pro surfing, health clubs and my current business. My experience being involved in the fitness industry and modeling in my 20’s and now again at 50 has proven that the right agency/agent is necessary and a good relationship with a fitness/fashion/studio photographer is best through that particular agency/agencies and/or a good contract photographer. I start my day early (5:30 am) with meditation/prayer. Before going to work I eat a protein based breakfast. I am a sub contractor so my eating regimen varies during the day. Currently, I am mixing modeling/commercial work with my contract business so my days vary. This weekend I am involved with an Adidas spec commercial, some new photos and an extra in a new film. So I am preparing for this today and tomorrow along with my “real” job. I love my work, but more in the fitness end. Everyday I workout at the gym with cardio/weight/strength training; mixing up muscle groups. Currently, I am in peak physical shape and have learned much from 30 years around pro surfing/athletics/health club management to everyday conditioning. I was involved with triathlons in my 20’s with the health club industry when “tri’s” were just beginning. I had the opportunity to do one of the first Hawaiian “tri’s” which helped me greatly to focus on a training regimen for months at a time and connect with some wonderful people from around the world like my pro surfing tours. I loved those experiences! I believe that there is a misunderstanding of BMR (basal metabolic rate). I have a “through the roof” metabolic rate even at rest. The “bang for the buck” cardio for me is cycling, a brisk walk and even an intense weight train at 20 minutes. Aerobics (fat burning) is the key, but is still not a science. For me I have a good problem. I must consume a lot of “good calories” (complex carbs and protein) to keep my weight up and sustain my muscle mass to fat ratio. The average person depending on the man or woman and their long term goals a pound a week is a realistic amount. As an instructor and manager of clubs in my 20’s I have seen unrealistic goals and frustrated people give up. My experience has worked for me and others I have helped. I use a 40/40/20 nutritional scale depending again on the individual. 40% protein/40% complex carbs and simple sugars/up to 20% good fats. Prior to “conditioning” I drink a quality protein shake before and after along with fruit or pasta or salad with tuna, for example. Storing glycogen for the workout prior to and supplementing protein after has been my rule of thumb, thereby expending stored intercellular fats through aerobic first and cardio secondly. For example, men who have a high density of subcutaneous fat find it more difficult to see definition result and have to consider their genetic makeup also. It does take patience and time! I call it “brain conditioning”! Water must be consumed daily and I have found that when chocolate cravings come (my weakness) and I haven’t struggled with “bad” eating habits for years; keeping in mind that small meals throughout the day in the form of an apple or banana (good simple sugars) along with water or even a protein shake can trick your brain into thinking it is full and/or at least be satisfied for the moments taking those unwanted cravings away. Works for me! Again the key is to stay positive, patient and consistent with your “program.” Outside results can be slow (also depending on your age group) but can be achieved. Just your well-being can improve along with productivity at work and home. Again, 40/40/20. Proteins: tuna, egg whites, fish, some meats (lean), shakes, yogurt, for example. Complex carbs: Lots of greens. Spinach/leafy salads, veggies, fruits, for example. Fats: peanut butter (a good transporter), nuts, for example. Some fats are necessary along with supplemental vitamins/minerals/amino acids. I would suggest checking with your doctor first i.e. heart condition depending on age and then looking for a good nutritional program that is balanced and won’t cause any side effects. Secondly, finding a private trainer or health club that can help design a program for you. A recommendation for ShapeFit.com is another way to go (through the Internet). Remember, time and patience is important. Take the 35 pounds in increments and don’t weigh yourself daily. Thank God for a multiplicity of outlets especially in Southern California. First, remember small meals (tricking your brain to feel full with less food). Look for menus that offer over processed foods and tons of saturated fats (leads to increased bad fat). Find places that offer fiber-packed foods along with lower caloric intake balanced with protein and complex carbs. Asian foods are good, for example. Choose to drink water instead of sugary sodas. Men: Squats have worked well for me. Form and lighter weight to begin with then increasing the weight gradually. Proper stretching is a priority before these movements. This movement also increases size and shape in the quads, flexors and gluts. Women: Form and function first. Just starting? Simple stretching Pilates, yoga or low intensity aerobics/cardio to build flexibility and balance. Move on to low intensity hamstring curls, squats with bar only at the beginning keeping an eye on the middle to lower back. Diet would be number one. My experience tells me that I have to daily watch my calorie intake (I have a high metabolism) along with a high protein diet with supplemental high quality protein powders, complex carbs for glycogen storage and consistent weight training with cardio/aerobic exercise. NOT OVERTRAINING. Proper rest/sleep is imperative. Breakfast: A banana, yogurt, egg whites, multi grain bread and isolate protein drink to counteract the catabolic condition in the morning. Should be the best meal of the day to replenish what was lost after (hopefully) a good nights sleep! Mid-Morning Snack: Protein powder and fruit. Always lots of water. Lunch: Tuna salad or sandwich, fruit. Mid-Afternoon Snack: Protein bar, protein shake especially after workout or peanut butter, mayonnaise and banana sandwich (glycogen storage). Dinner: First, avoid late meals, switch from lean meat to fish to soy (burgers), a spinach salad with assorted veggies, another complex carb. Strength Training Exercises: Because I know about strength training and that muscles usually oppose one another (example: abdominal muscles working against the lower back muscles) when doing proper “crunchies.” I have developed a daily routine that last no longer than twenty minutes on the workout floor. One day I will work chest (dumbbells only) changing up from decline “flys” for the lower pectorals to incline “flys” changing the angle of the bench for width of the upper pectorals. I am into “body sculpting” these days because of my involvement with sport/fitness modeling. I try to exhaust muscle tissue with variables of min. 6 reps to max. of 15 reps. I am always challenging my muscles to exhaust and repair. One day; pecs, quads (squats), calves. Next day; upper arms (bi’s and tri’s), lower back along with pull downs and cable work. Next day; hamstrings, mid-back, deltoids (anterior/interior). Every other day exhaust the abdominal muscles with a variation of side to side and isolated “crunchies” sometimes on a slant board or even in the sauna! At my age my body fat percentage is very low and I have a dynamic “eight pack”. Cardio Exercises: Walking, treadmill, stationary bike, cycling, swimming. Even station to station weight training. Additional Training: Stationary speed cycle training, hiking, surfing, rowing in-house or if available on the water. Rowing has done wonders for my gluts, flexors and quads. I even have found sailing in match racing to increase cardio and really helps develop back muscles, arms and shoulders! 1. I am a big advocate of water intake (hydrating) throughout the day. Remember, for men and women a lower subcutaneous fat layer (our thermal blanket) is huge with definition and tone. I have a very low % of subcutaneous fat throughout my body and I am very cut and defined, keeping in mind I’ve been working at this for over 30 yrs. 2. Proper food intake. Small meals. 40/40/20. I am a believer in quality isolate proteins with powders. 3. Proper stretching prior to workout for ligaments and tendons. For BI’s, tri’s and delts try to exhaust the muscle with good form within a set # of reps to max at 8 or 15 depending on the individual. I am a firm believer in variable dumbbell movements on a flat bench, standing, or incline or decline. 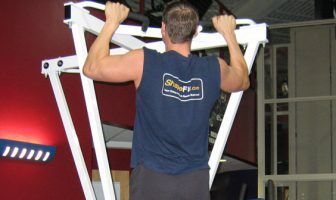 There are some great bi and tri machines to help with fixed proper form. Changing up movements helps with muscle development/progress. 4. Cables can help with flexibility and strength along with tone and definition. 5. Make sure that you don’t rush the movement from extension to contraction. I have found through the science of strength training that a full contraction of the muscle (the bicep, for example) will bring increased size and tone. Always give the muscle time to rest and recover along with an isolate protein after workout or in the morning so the muscle does not go into a catabolic state. 1. Let’s differentiate between subcutaneous and inter-cellular fat. Also, genetics and age. Advice: Start at an early age. Ex: 18 to 20 yrs. old. I have had so many men in their mid-forties wondering why they can’t lose the “gut” and obliques, for example. So again, start at an early age. 2. Watch out for high caloric foods. It would surprise you how many “good foods” are high in calories. 3. Supplement water based good isolate protein (not from milk fats) powder and plenty of water throughout the day. Water can trick your brain into being full. It takes time and a lot of patience and discipline. You have to love to stay fit. I do! 5. Consistent cardio, aerobic (fat burning), weight training, and mixing it up with different forms of exercise i.e. walking, treadmill or cycling, for example. 1. For me, supplements like a very good protein isolate help keep my muscles from going into a catabolic state especially in the morning after a long sleep and after workouts and in between meals. 2. Remember, long term training, muscle “memory”, genetics; example: a shorter, heavier man with a denser subcutaneous fat layer will develop in appearance a leaner muscle mass with proper weight loss along with diet with time. Be patient! 3. Weight training: it is not a science, but my 30 yrs. plus experience and working with hundreds of people has shown that proper form, a cardio type weight training and multiple sets even with higher reps to exhaust muscle tissue so it can restore and grow will bring about definition (cut) and tone. I have found after running health clubs that attrition rate is solely due to frustration with no immediate results. Back to poor eating and frustration. 4. Watch caloric intake, small meals and protein rich foods along with complex carbs. 70 % of your training regimen has to do with your diet. 5. Water, water and more water! Hydrating throughout the day helps to trick your brain into thinking you are full (in a sense). A protein bar or fruit in between meals help. Your skin tone and overall well-being improves when hydrating. 1. For me, my spiritual life is utmost important. The benefits of staying “spiritually fit” helps to up my endorphin levels up and a good surf session increases my positive perspective on life. 2. Goal setting. What am I trying to achieve with a training program? Weight loss? Muscle mass or tone? Strengthening the heart through cardio? Goal setting has worked for me for years. I have fallen in love with conditioning. I just feel and look better! 3. Change up your weight training, cardio/aerobics and outside activities. Such as golf over cycling. Try not to work yourself into a “rut”. 4. I have always been athletically inclined since the age of ten when I started surfing and working my way into the pro ranks through hard work. Honestly, going into a gym day by day over time can be (at times) a little monotonous. We are only human. Golf, swimming, surfing and sailing (for me) are different ways to change up routine. Have fun! 5. Consistency helps my frame of mind. A regular routine will bring about results. People workout because they want to look and feel better about themselves. Overall well-being through a spiritual and physical with proper diet produces a better way of living life to the fullest. My work, interaction with people, fighting “low moods” are all affected by my fitness routine. Monday: Remember, I spend no more than 20 minutes on the weight training floor. Stretching first (5 min), chest (decline), arms/BI’s, quads and treadmill or walking the indoor track. Pectorals: 4 sets/max out at 8 to 10 reps, for example. I change up my sets and reps to maximize muscle stimulation/direction and growth. I keep moving from one exercise to another/cardio/strength training. Situps/”crunchies” varies from upper “abs” to obliques to rotation with a ball, raise legs and cross and emphasize lower “abs”. PLEASE NOTE: I DO AT LEAST A HUNDRED REPS VARYING MY ROUTINE IN INCREMENTS OF 25 FOR MY ABS ON A DAILY OR EVERY OTHER DAY BASIS. THE HARD WORK HAS PAID OFF! Tuesday: Stretching, trapezius (shrugs), back: rows, cables, back machines, squats (lower weight/de-emphasize back injury) for frontal quads, position feet to side to isolate inside quads/ groin muscles for width. Wednesday: Stretching, calves, hamstrings, “lats”(wide and closed grip). Light workout. Thursday: Stretching, deltoids (anterior/interior with dumbbells), pectorals (incline @ 3 different levels), repeat decline pectorals for definition of lower “pecs”. Arms: max out at 8 to 15 reps depending on weight. For both “BI’s” and “tri’s”. Repeat calves, hamstrings and “traps”. Friday: Stretching, more emphasis on pectorals because my “pecs” are so important in my fitness modeling along with upper arms, “delts”, “traps” and “abs”. Sunday: Light workout with stretching/cardio/aerobics. 1. Once again, we must determine body fat % depending if it be a man or woman. Since I am a man we need to understand age, weight, genetics and diet. I have trained many men who always want to lose the “gut” not understanding the science behind it. Majority also don’t start their workout routine until they have developed a fairly heavy layer of subcutaneous and inter-cellular fat around the middle just with genetics in mind alone. Combine lack of exercise (aerobic/cardio), a fat laden diet and late start and it will take time to honestly remove fat from the “abs” area including the obliques. 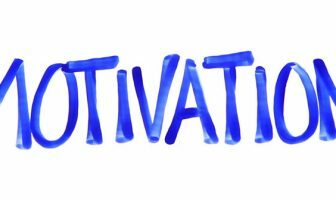 So my first tip is to do some homework along with a positive attitude, willingness and discipline. We have to do this in our careers, but what about our precious bodies? Remember the heart muscle! Water is so vital to hydration, skin tone, muscle growth, tone and “cut”. 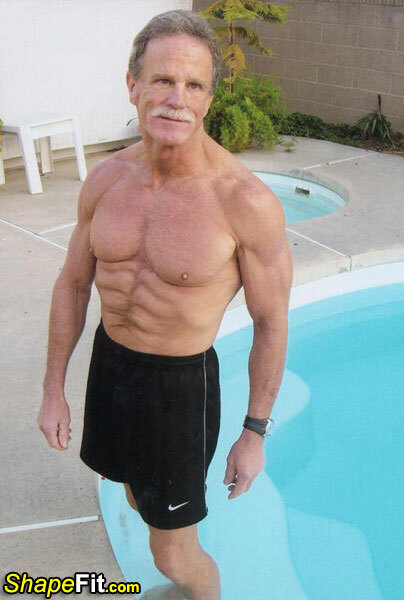 It took a lot of work with some decent genetics to develop and maintain my eight pack over the last 30 years. 2. If new to a conditioning program I would join a local health club or more private gym and get started with a personal trainer. I prefer one who is a little older than the young guys that have little time in the fitness field, but new knowledge. Applying the same routine to a 25 yr. old compared to a 45 yr. old can be a disaster. Find a trainer to keep your routine simple and explain a diet plan focusing on calories, low fat just to get started. Honesty is the best policy. 3. I like to focus on variations of “crunchies” or situps as far as exercise is concerned for a better mid-section. Holding a small ball in hands with back on floor with legs bent lifted from side to side. For lower/upper abs and obliques. Also, varying my “situps” with single leg stretches, squat thrusts, side corners, ballet twists, for example. As far as sets and repetitions-exhaust the muscle tissue. I do at least 10 “crunchies” (25 at a time) with legs bent and lifted or on the floor or incline board at a low level to begin with or even side to side oblique movements with bent legs in the air. My “eight-pack” has taken years and still is there at 54. 4. Remember, small meals. Feed your body before a workout with complex carbs and some protein for glycogen storage so your body doesn’t use muscle for energy. After feed your body with protein. Good protein powders are low in fat and calories for rebuilding muscle. Men store fat in the midsection including obliques and lower back. Gluts, hamstrings, lower back incl. hip flexors more so for women. Use the brain “trick”-drink water to fill your “tummy”! Of course the stomach is always an issue for women. Don’t neglect to feed your body though with nutritious food. For me, carb up before and protein down after a workout. 5. There is more to be said, but aerobic (over 20 min.) on a stationary bike, treadmill or a walk in the neighborhood or on the indoor track at the club is a necessity for heart, lungs and fat burning around the midsection and overall. Don’t forget proper rest between workouts so the muscles can restore and build and grow (tone and definition). 1. Before I forget, the “adipose”or what is mispronounced as “cellulite” that spongy, dimply fat behind the front upper legs takes time to go away especially with “late-starters” who want instant results for women. Men don’t have the same makeup of fat, but still have fat in those areas (subcutaneous/intercellular). Men just have a higher concentration of muscle in the upper legs and usually in the gluts (buttocks). 2. Don’t forget water! Same principle with meals. Small, feed before a workout and after. 3. There are some great machines at clubs today. Ex: the adductor/abductor for the inside thighs and outside quads. Also, yoga, pilates and straight aerobic or even simple floor exercises at home. Don’t forget the variety of DVDs to instruct you through. If you are by the beach, I have recommended sand walking (bare foot or not) for a change! 4. I almost forgot that in every case before and after workout – PROPER STRETCHING! 5. The Stairmaster with an emphasis on accentuated climbing for at least 20 mins. Helps to firm the quads, gluts, flexors, hamstrings, and of course, the calves.